Each herb is hand-selected for you, sourced carefully, and enclosed in a decorative, custom-labeled, one ounce tin. 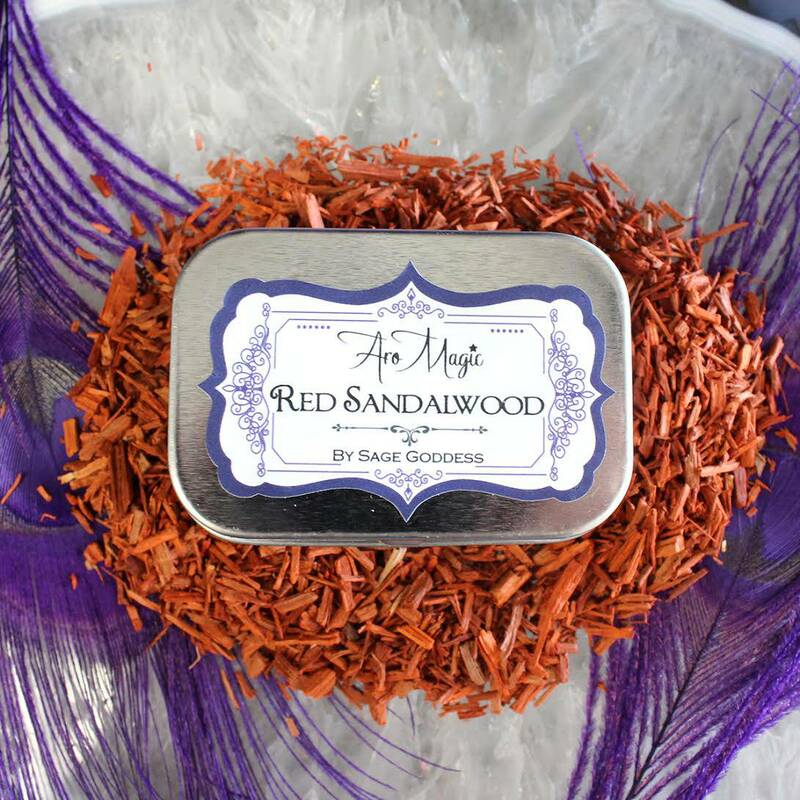 Everything about this red sandalwood herbal magic tin is special, right down to the beautiful labels. Collect all of the SG herbal magic tins, some are quite rare, and you will have the magical cabinet of your dreams that will look as beautiful as it is powerful and practical. Red Sandalwood is a sacred wood in many spiritual traditions including Native American and Buddhist practices. Aligned with the direction of South and element of fire as well as earth, red sandalwood is healing, grounding, and protective. These tins are filled with high-quality red sandalwood. You can add red sandalwood to incense or place it around the base of a candle. Enjoy this beautiful, limited, magical, and powerful offering. This listing is for one (1) red sandalwood herbal magic tin. Yours will arrive lovingly parceled, ready for sacred work. I love to mix mine with herbs & resins for casting blends & burning on charcoal! This tin is packed with sandalwood perfection!